TVB loses many talented artistes in recent years. 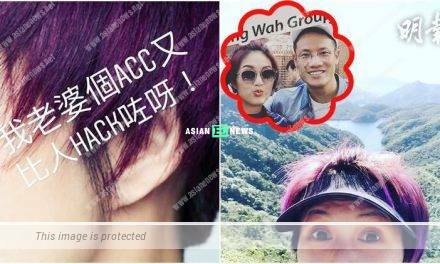 47 years old Moses Chan (陳豪) has been working for them since 2000s and has 3 children within 3 years after marrying Aimee Chan (陳茵媺). He also sets up a coffee business to earn additional income. 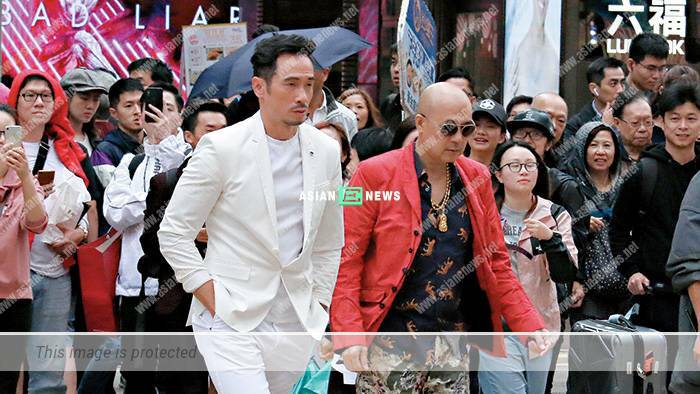 Earlier, Moses was pointed to leave TVB when his contract was due for renewal and Louis Koo’s (古天樂) company and other firms try to invite him, due to his popularity. 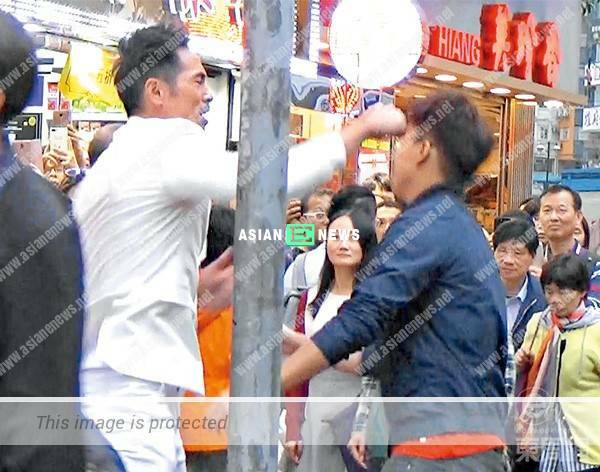 However because of the tax restrictions in Mainland China, family and business commitments in Hong Kong, Moses decided to stay in TVB and had a location shooting for new drama, Assassin (殺手) with James Ng (吳業坤) at the market in Causeway Bay a few days ago. Apparently, Moses played a killer and was dressed up in a suit. The scene illustrated that he begun to hit James who acted as a cop while questioning him and fell to the ground immediately. Moses helped James to get up once the camera stopped rolling and both already had a discussion beforehand. 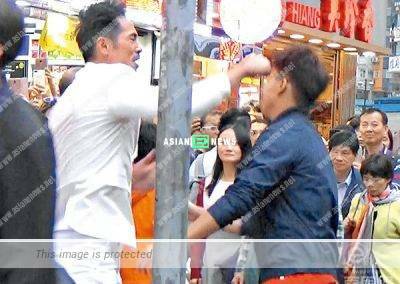 As the shooting took place at a main street opposite Sogo departmental store company (崇光百貨), it attracted many bystanders and was wrapped up within two takes. Finally, the crew team filmed another scene of Lee Shing Cheong (李成昌) and Moses crossing the road and it was wrapped up quickly due to their professionalism. Moses texted Aimee before boarding into the car and agreed to take photos with his fans. He is indeed a good husband and friendly artiste.